Former BSkyB, News Corp and Amazon executive Lesley Mackenzie has joined the board of Made Television as its deputy chair. Made, launched in 2014, currently operates eight city-based TV channels serving Birmingham, Bristol, Cardiff, Leeds, Liverpool, North Wales, Teesside and Tyne & Wear, with plans to grow the network further. Mackenzie has previously worked as chief digital officer for Amazon-owned Lovefilm and was director of channels and operations for BSkyB. Most recently she worked in a senior role with ProSebienSat in Germany. She also spent three years as a content board member with Ofcom, and is on the board of the British Board of Film Classification management committee. Jamie Conway, CEO of Made Television, said: "Lesley joins us at an exciting time in our development. Made Television continues to grow at-a-pace and Lesley’s advice and support will be invaluable in taking us forward to meet the many opportunities that lie ahead. 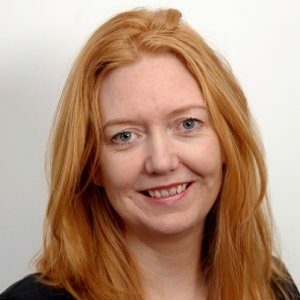 "We are looking forward to tapping into Lesley’s considerable expertise within the traditional and digital media sector and we’re delighted to welcome her to the Made Television Board." Mackenzie joins existing board members Ian West (chairman), Tom Moloney, David Montgomery, John Davis, Mark Christie and Jonathan Ralph Flay. Mackenzie said: "I have been watching with interest the development of Made Television since its inception. I believe that Made Television has the potential to become the ‘Go To’ network for viewers looking for a highly desirable blend of local, regional and national programming. I’m delighted to be involved at such a defining stage in its development."